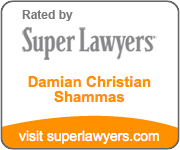 Thank you for visiting the website of the Law Offices of Damian Christian Shammas, LLC. Information on this website is provided for informational purposes only. This website is not an offer to represent you and does not intend to give legal advice. You should not act, or refrain from acting, based upon any informaton on this website. Neither the presentation of such information nor your receipt of such information creates an attorney-client relationship. Although this website intends to provide accurate and helpful information, it makes no representations, claims, promises, or guarantees that the information contained or referenced herein is accurate, complete, or current. Your inquiries are welcome. However, please be advised that unless you are already a client of the firm, the act of sending electronic mail to the firm will not create an attorney-client relationship or impose any obligation on the firm. Any electronic communication between you and the firm will not be privileged, may not be secure, and may be disclosed to other persons. Therefore, please do not send e-mails that contain confidential and/or sensitive information. 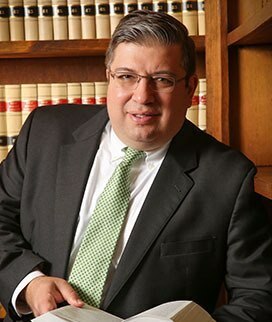 The Law Offices of Damian Christian Shammas, LLC attempts to ensure that all information is accurate when posted on this website. Unfortunately, the firm cannot guarantee that the information is correct, complete, or current. Links to other websites are provided for convenience and the firm is not responsible for and does not endorse content on other websites that link to or from this website. The Law Offices of Damian Christian Shammas, LLC reserves the right to change the terms of this disclaimer at any time and without notice. All visitors to this website agree to abide by the most current verson of this disclaimer when they visit this website.